Alex Berenson hits on a fear that cuts deep into the psyche of international aid work and tourism. His novel, The Night Ranger, tracks four American students who decide to spend their first few months as recent college graduates at a Somali refugee camp near Dadaab, Kenya. The work is hard. The conditions are filthy. The heat is unbearable. So when Scott Thompson suggested the four of them escape for a few days to the island town of Lamu, there was little resistance. Besides, Thompson, whose uncle oversaw the relief group, had arranged all the transportation. If anything, escaping for a few days after 12 weeks of work sounded like one of the reasons Gwen Murphy had agreed to to join her boyfriend Thompson anyway. After their volunteer service, they intended to take a safari. Her friend Hailey Broder, who wanted to pad her med school application, was all for it too. And Owen Broder, who Murphy suspected had a crush on her, was equally anxious too. Not one of them will reach their destination. When the foursome and their guide reach the camp's guardhouse, one of the guards mentions that the Kenyan police have set up a roadblock between the camp and Dadaab. He suggests an alternate route, an unpaved road that might even be a shortcut. It was a shortcut, but not to Garissa, Bakafi, Mokowe or any town that would lead to Lamu. When they wake up, all four of them are bound and hooded. Their captors immediately tell them not to expect food until they prove they won't be any trouble. Water, on the other hand, is conditional. As long as they don't talk, they will be given just enough to survive until they are properly ransomed. At least that is what the kidnappers expect to happen. What they don't know is that one of Murphy's schoolmate's father is a former CIA agent named John Wells. And Wells will do almost anything to earn even the slimmest chance to reconnect with his estranged son. Anyone familiar with author Berenson will know the name as The Night Ranger is the seventh book in the John Wells series. However, unlike other operations, this one doesn't take place in the more familiar Middle East and China nor is it sanctioned by by the CIA. Wells will be operating alone. It's this unfamiliar setting that also makes The Night Ranger well-suited as a late series introduction to Wells. The story stands on its own, recasting Wells as a retired CIA agent who is struggling to put his life together while attempting to manage an adrenaline/mission addiction that comes with laying your life on the line. A couple of graphs to introduce author Alex Berenson. 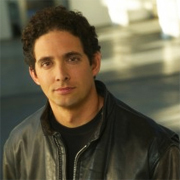 Born in 1973, Alex Berenson grew up in Englewood, New Jersey. After graduating high school, Berenson was admitted to Yale University where he earned degrees in history and economics before deciding to become a reporter. In 1996, he joined the Denver Post. Three years later, he accepted an offer by the New York Times. It was working for the New York Times that gave him the opportunity to serve as a correspondent in Iraq, which provided his inspiration to write a debut novel. Like many journalists, Berenson has a crisp voice and no-nonsense but occasionally cynical style. This especially comes across in his portrayal of the kidnapped students, who often come across as aloof and spoiled narcissists. Much more interesting is Wells, whom Berenson knows so well, and Little Wizard, a Somalian bandit leader that intercepts the original kidnappers in order to claim any ransom. In fact, it is through Little Wizard that Berenson may reveal where his own empathy can be found. While cold blooded, Little Wizard is surprisingly resolute in his desire to be honorable. In making him this way, Berenson casts a light on the plight of the Somalians, first as refugees and then as militants. The Night Ranger By Alex Berenson Steals 4.9 On The Liquid Hip Richter Scale. Sometimes Berenson writes too tight for his own good, creating the impression that his characters are clipped or uncaring. Maybe they are in some cases. But otherwise, he excels at making foreign worlds accessible, filling his fiction with details that add cultural depth into the conditions and culture of countries like Kenya and Somalia. This alone makes his work worthwhile reading. 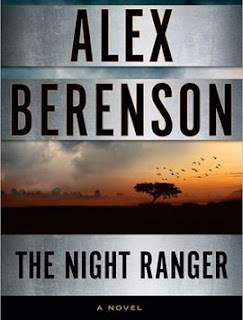 The Night Ranger by Alex Berenson is available on Amazon and Barnes & Noble also carries The Night Ranger. It can also be downloaded for iBooks, which carries a free short story preview. Even if you have the book, get the preview. It includes the untold story of the kidnapping. The audiobook, which is narrated by George Guidall, can be found on iTunes. Guidall is especially good at capturing the voice of Wells and Little Wizard, two men who develop a respect for each other despite fate positioning them on opposing sides.